In the area of sales training, Martin Limbeck and the sales trainers of the Martin Limbeck Training Group draw on the entire spectrum of methods and learning styles. Presentations, seminars, coaching, on-the-job training, “cold calling parties,” an outstanding and innovative online academy, the in-depth blended Loop process—in short, this is sales training spanning all levels and learning styles. The sales training programs guarantee the utmost benefit, considerable added value, and maximum success. In every respect they are practice-oriented and readily implemented. Moreover, the results of the sales training are clearly measurable, and you will quickly notice the boost in sales success. Martin Limbeck and his trainers deliver lively, intensive and sustainable sales training through a clearly devised program to ensure top performance. Martin uses his provocative and uncompromising approach to draw the participants out of their comfort zone and directly into their individual learning frame of mind. He lays the groundwork for ambitious goals and delivers the jump-start needed to achieve outstanding results. 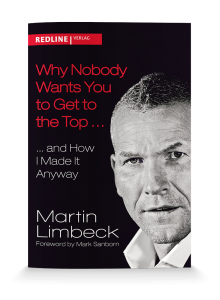 Martin Limbeck renders the act of selling transparent, passionate, thrilling, funny, serious, fair, tenacious, respectful, and focused. He stands for an efficient and targeted tuning of your sales team and processes. The in-house seminars for sales and management target your individual challenges and objectives. Beyond that, it’s a question of motivation, adopting the right mindset, and the transfer of this know-how into your day-to-day work: Active role-playing games, mock sales pitches and appraisal interviews, live phone conversations, optimal strategies for developing sales arguments and handling objections and pretexts, role-specific coaching, visualization via video sequences—this is on-the-job training with measurable results. Closing Power: How to Close a Deal—Guaranteed!